The declaration of June 12 as a public holiday was a mere statement of desire by President Muhammadu Buhari, said Minister of Justice and Attorney General of the Federation (AGF), Abubakar Malami. He made the clarification, yesterday, after the Federal Executive Council (FEC) meeting, as he fielded questions on whether Buhari’s declaration contravened the Public Holiday Act. It was also disclosed that the Federal Government approved the payment of N500 million to a team of external lawyers including seven Senior Advocates of Nigeria (SAN) who facilitated the recovery of the fine slammed on telecommunications giant, MTN. Recall that the legal battle instituted by the Nigerian Communications Commission (NCC) against MTN has seen the corporation paying at least N165 billion of a total N330 billion fine. Malami justified the payment, saying it represented a fair deal and amounted to less than one per cent of the entire fine. He said the Federal Government was in the process of forwarding a bill on copyright violations and corresponding sanctions to the National Assembly. The Federal Government is also collaborating with the government of Switzerland to repatriate $500 million allegedly looted by former Head of State, General Sani Abacha, and other high profile citizens. Malami said: “The Federal Government engaged the services of lawyers to put up defence on its behalf. As a result, the parties eventually settled the case amicably. And arising from that settlement, the lawyers were entitled to their fees. “The Federal Government has now sanctioned the payment of N500 million for the N330 billion agreed upon for the alleged breaches in their (MTN’s) operations. This amount is less than one per cent of the fee instead of the internationally recognised fee, which is pegged at five per cent. “Finally was a report on the global forum on assets recovery. You will recall that in December 2017, Federal Government participated in a global forum on asset recovery in Washington DC. And during that forum, Nigeria and Switzerland signed an agreement that paved the way for the repatriation of $322 million relating to looted assets. 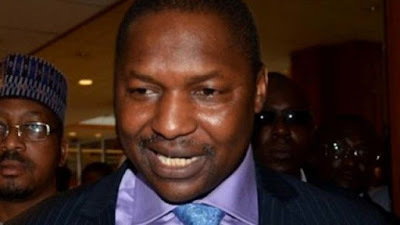 And on the account of that, the amount was eventually repatriated back to Nigeria,” said Malami. The Minister of Health, Isaac Adewole, who briefed State House reporters on other memos that sailed through the meeting, announced that government has settled for a National Food Security Council, to be chaired by Vice President Yemi Osinbajo. He noted that functions of the council would be encapsulated in the Food Safety and Quality Bill, which got the nod of Buhari to be forwarded to the National Assembly soon. The council also approved the draft National Tobacco Control Regulation, aimed at regulating the use and consumption of tobacco products. “It is expected that with the formal approval of these two documents, we will have reduction in the incidence of food-borne illnesses through so many preventive controls that are already contained in the bill and will also help us to support achievements of sustainable effective food trade that will boost and enhance the economy,” Adewole said. The Federal Government furthermore approved N185.276 billion for the rehabilitation and repair of roads and bridges in parts of the country. The Minister of Trade and Investment, Ikechukwu Enelamah, said FEC approved N6.540 billion for the construction of an industrial hub, to be managed by the Industrial Training Fund (ITF).